The alert for the aging of the Albanian population seems to be urgent because the UN has also published the figures of the Balkan population and it turns out that Albania is aging at a rapid pace. Although in the early 1990s Albania had the youngest population in Europe, with an average age of 24 years, according to the accounts by 2060 the average age of the population of Albania will be 48 years old. 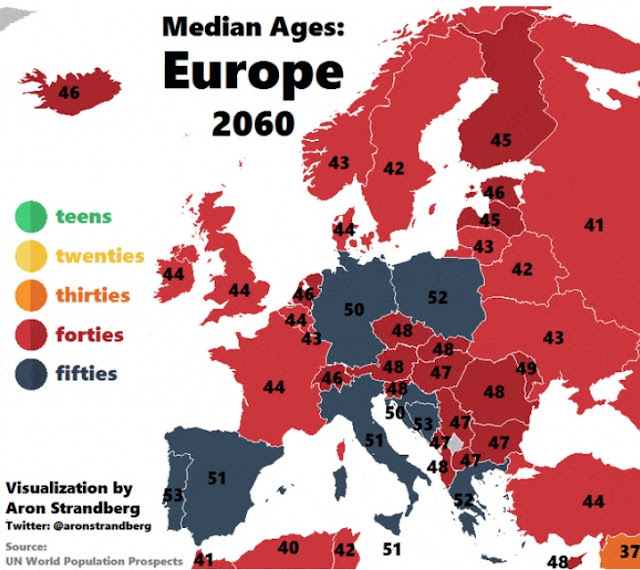 In the early 2000s, the average age is increased for all of Europe. Italy and Germany would have the fastest aging pace with an average age of 41 years. In 2021, the United Nations projections on the average age is 35 years old in Albania, where, compared to the countries of the region, it is still the youngest age. Even worse will be the situation in 2060, where, according to United Nations projections, Albania will have the highest average age than the countries of the region such as Macedonia, Montenegro and Serbia. The main reasons for the aging of the Albanian population at this fast pace are the decline of births, high emigration and the increase in life expectancy. Europe has for years entered in the aging population cycle.